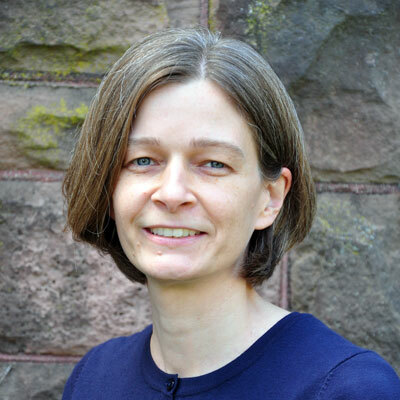 When taking an interdisciplinary approach to a topic, you may face the challenge of needing to familiarize yourself with a field of study that's new to you. A quick way to orient yourself is to consult reference works in that field. These can provide a helpful overview, information about key concepts and figures, and even bibliographies for further reading. If your background is mainly in English, the reference sources in the Music box below will help you familiarize yourself with topics in music. 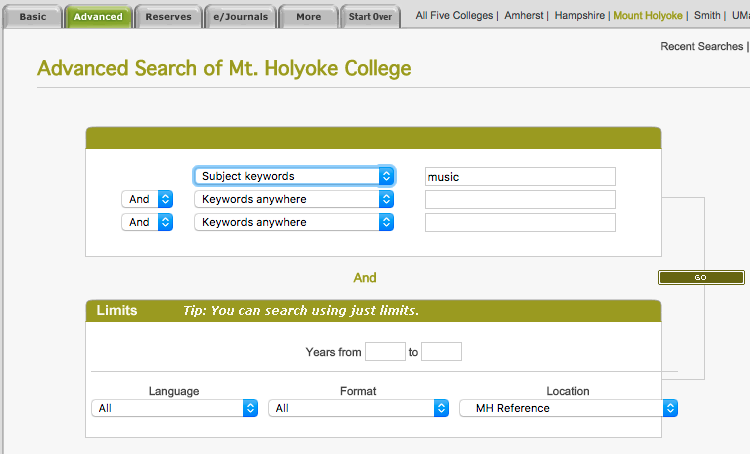 However, if your background is in music, see the Literature box for reference sources that can help you get up to speed on the study of literature. Music reference works including Grove Music, Oxford Dictionary of Music, Oxford Companion to Music, and Encyclopedia of Popular Music. Full text of 5 volume narrative history of western classical music. Below are a selected few reference works on literature. See the English Research Guide's Background Info page for even more. Biographical dictionary with essays on the lives, works, and careers of literary figures from all eras and genres. Biography in Context includes 600,000+ biographical entries — on more than 528,000 individuals — spanning history and geography. Good for researching more recent/lesser known authors. Sometimes basic background information can provide you with better context for a novel you're reading. For example, a brief history of the country in which it's set or a particular people or culture that it covers. General reference works can help. A good general encyclopedia covering all topics/subject areas. 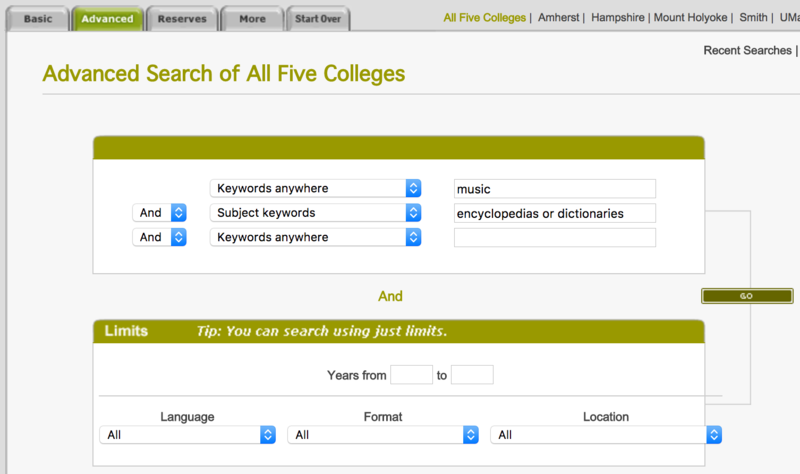 Do an Advanced search in the Five College Libraries Catalog on terms that describe your topic (e.g., music) and the terms encyclopedias or dictionaries or handbooks.